Concrete wire sawing gives the most precise cuts on ridges, beams and piers when it comes to making openings in thick walls or removing large concrete structures. Concrete wire sawing can also be referred to as diamond wire cutting. Fine cut’s operators are able to cut through steel and heavily reinforced concrete. Concrete wire sawing is a technique that originated in the stone quarries of the past. Today, it is the ideal solution when a job requires extremely thick concrete to be cut. Concrete wire sawing is the most practical option and technique for cutting through structures and cross sections that are too large to be cut practically using any other method. Concrete wire sawing is commonly used for underwater cutting, cuts in restricted or remote areas, cuts that require minimal vibration, anchor door openings and cutting through depths which are beyond the reach of conventional tools. It can be used to cut through stone, cinder blocks, bricks, asphalt, concrete and structural concrete. Concrete wire sawing can be used for objects above water and under water, huge reinforced concrete sections, and just about anything you can imagine. Wire saw concrete cutting is safe, quick, and very efficient. It can be used for modifying or deconstructing almost any concrete structure. The concrete wire saw utilizes a system of pulleys with a drive wheel. After the cable has been wrapped around the concrete, it is threaded through a series of pulleys to create a continuous loop. When the saw is powered up, it tensions the cable and enables it to spin up to speeds of 60 mph. This combination of spinning wire and constant pulling easily cuts through both the concrete and steel reinforcement. Since cable length is not an issue, wire sawing can be performed at any depth. In addition, wire saws can cut in any direction, whether vertical or horizontal. Fine Cut was established on a foundation based on loyalty and integrity. That foundation grew into a reputable company that now serves the entire Kansas City metro area, surrounding cities and local communities. A dedicated work ethic and determination drives the business toward its continued success. 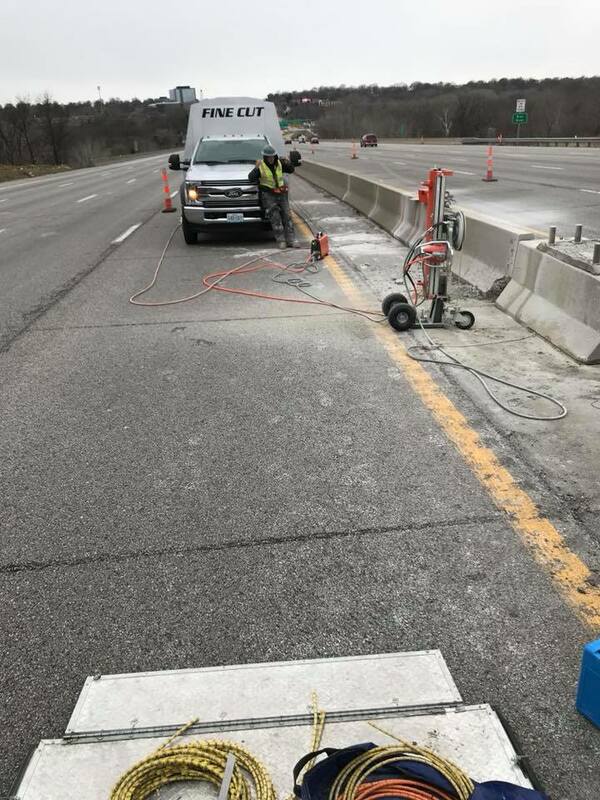 For more information about concrete wire sawing and the other services Fine Cut offers, call (816) 540-5787.